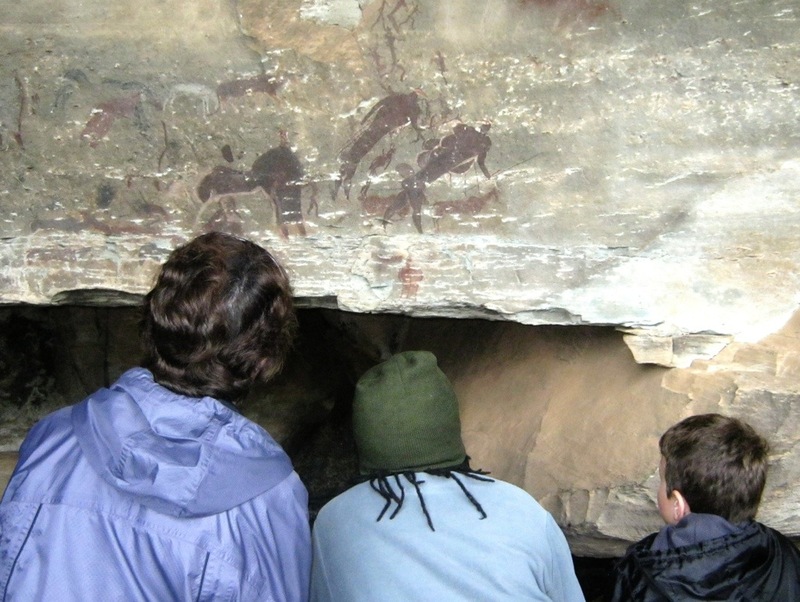 One of the most accessible places to view rock art in KZN is at Giants Castle. 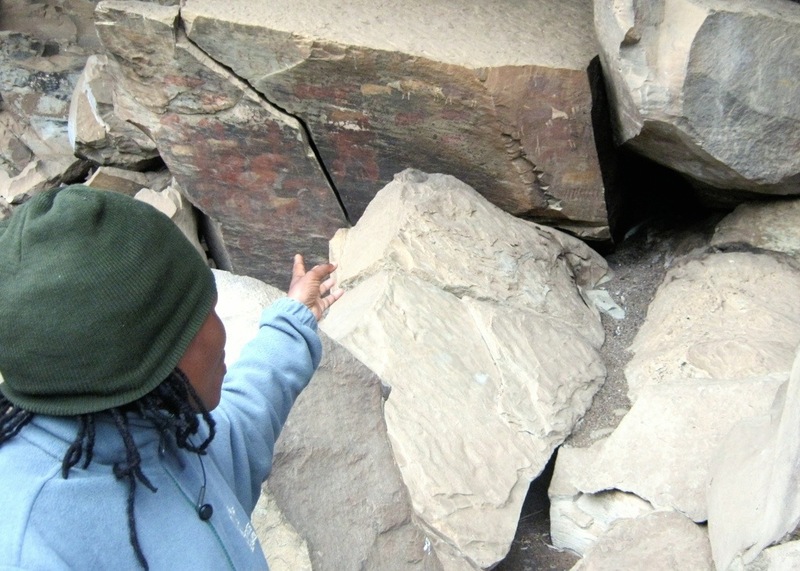 It is an easy walk to the Main Cave where a guided tour is given by a very knowledgable site guide. It would be possible to do this as a day trip (it is about 3 hrs drive from Durban) but I would recommend an overnight stay to appreciate some of the other walks at the reserve, as well as to have a leisurely drive up to the Drakensberg, so as to experience some of the other attractions of the Midlands.